Halloween is coming! 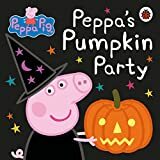 What better way to get you and your little ones in the mood than with some fantastic Halloween themed books. Here are some lovely books that are not scary, just loads of fun. Room On The Broom is a firm favourite all year round in our house, so much so that it made my list of our Favourite Children’s Books For Little Ones. It is written by the very funny and incredibly talented author of The Gruffalo, Julia Donaldson. It has also been made into a beautifully animated film that is well worth a watch. We have about a billion of the “That’s Not My……..” books and they just don’t get old. Each beautiful board book explores a different witch (in this case) introducing a different texture. Each of my children love to poke and prod each page and feel the different surfaces. That’s Not My Witch is a lovely seasonal addition to the collection and does not disappoint. We were introduced to this series when Bella was given the “Ten Little Princesses” book. (Top Tip; Ten Little Princesses is a good “cop out” book which legitimises wearing a princess dress that you already have in the house on World Book Day, so make sure you have your copy at the ready for next year). Anyway, we haven’t got a copy of Ten Little Monsters yet, but I will be Amazon Prime-ing one asap. Ten Little Princess is fun, funny and rhyming (some of my favourite characteristics in a kid’s book), so I have high hopes for the monster version. Good old Peppa Pig has both and an episode for every season. SPOILER ALERT; this book hints that Madame Gazelle might actually be a vampire. (Just saying). Ah, FunnyBones, an oldie but a goodie. I’m in my mid-thirties and I can remember reading this as a child and it’s just as lovely today as it was then. Do you remember this book? there was a dark dark town. there was a dark dark street……. Have you read these books to your little ones? Did they enjoy them? 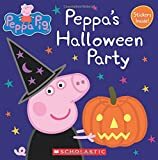 Which Halloween themed books do you recommend?